Camber is the tilting of the wheels from the vertical when viewed from the front of the vehicle. When the wheels tilt outward at the top, the camber is positive (+). When the wheel tilts inward at the top, the camber is negative (−). The amount of tilt is measured in degrees from the vertical. Camber settings influence the directional control and the tire wear. 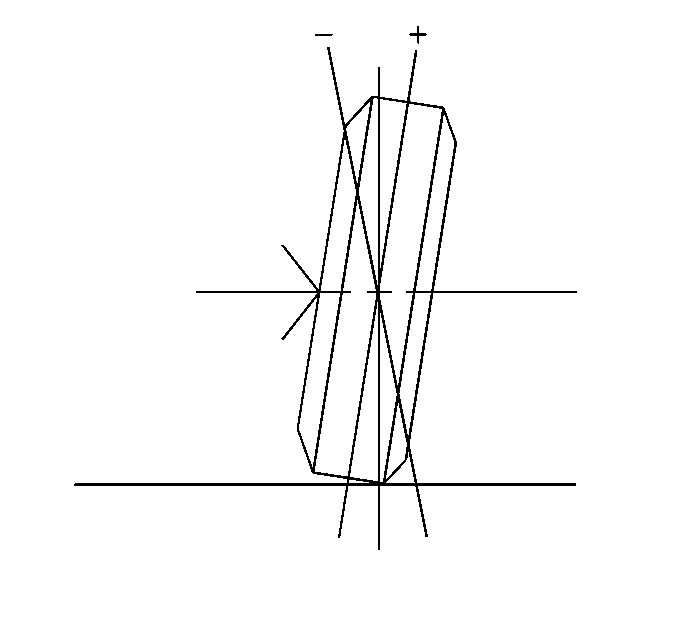 Unequal side-to-side camber of 1 degree or more will cause the vehicle to pull or lead to the side with the most positive camber. Cross Camber is the difference between the left camber value and the right camber value.